I am Obsessed with ‘The LEGO Batman Movie.’ Send Help. Beware, evildoers! Batman is – wait. Did he just wink at me? 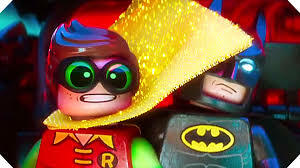 “The LEGO Batman Movie” deserves to win the Best Picture Oscar. No, “The LEGO Batman Movie” deserves to win all the Oscars. Sure, the film doesn’t hit theaters until Feb. 10, but I am confident it is the best film either you or I will ever see in our lifetimes. I’m dying over here. Hilarious. What’s unique about Batman above all other pop culture creations is that so many interpretations can survive and thrive without canceling each other out. The Christopher Nolan Dark Knight can co-exist with the animated Batman in “Justice League Action” and this mighty mite, whose biggest fear is snake clowns. 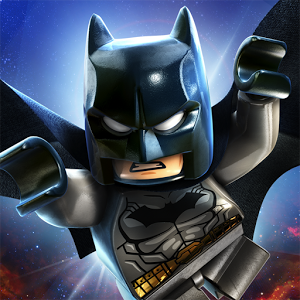 The key to this version of the Caped Crusader, first seen on the big screen in “The LEGO Movie” in 2014, is to play with Batman but with love. 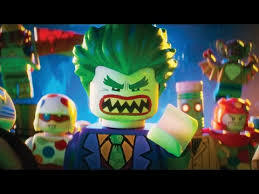 LEGO Joker just wants some respect from Batman. Not. Happening. There’s a line between parody and mockery, and the creators obviously know and respect the material. Batman is still fighting the good fight against evil. He’s just a wee bit full of himself. The ’60s “Batman” series with Adam West was my first favorite TV series. When the big-screen version was announced, I begged my parents to take me to see it. – and to0k us to the Clint Eastwood triple feature. Yeah, my parents had a curious attitude toward kids’ entertainment. They didn’t like it and they weren’t going to pay for it. Not that there was a lot of money to go around. But what few bucks they had, they spent on movies they enjoyed. Do you have any idea how long three Clint Eastwood movies are when you are 8 years old and there’s a perfectly good “Batman” movie playing all the way on the other side of the drive-in? I spent a couple hours peering out the back window trying to make out the action. Except for a few “Pows!” and “Splats!” I had no idea what was going on. Still better than three Clint Eastwood spaghetti westerns. Putting the wonder back in the boy. We stayed for every last minute. My parents never put any limits or had any concerns about exposing us to adult entertainment. We never had any restrictions on what we could watch or read. Everyone at school was so jealous I got to see all the R-rated stuff. I smiled while harboring the truth: God, it was so boring. I didn’t even see my first Disney film until I was in college. “The LEGO Batman Movie” is a gift to that kid who is still mad about sitting through three Clint Eastwood spaghetti westerns on a perfectly good summer night. Screw you, Man with No Name. No one’s making a LEGO version of your films. I just have one question: Does anyone know where I can rent some kids to go with me? Is this a stop-action movie using LEGOs, or is it an animated film with characters designed to look like LEGOs?